When there are sufficient numbers a class can be scheduled (minimum 3). 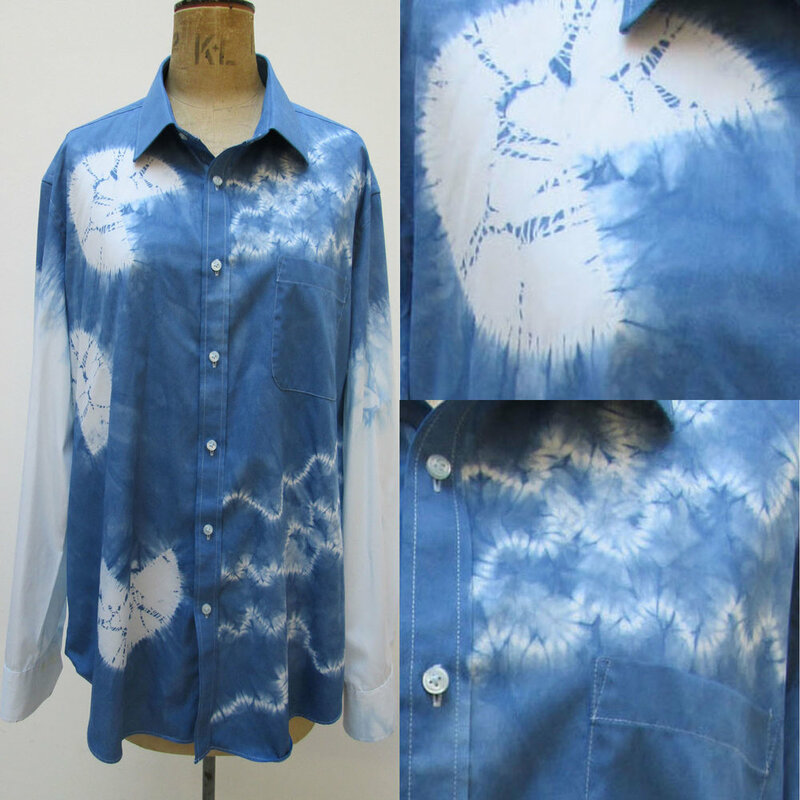 Shibori has been used to decorate clothing for centuries. From elaborate kimonos in Japan to brightly coloured bandhani sarees in India, people have been using pattern to express their individuality. The tutor will bring a selection of clothes that have been Shiborified for inspiration and will explain the various techniques used to get the effects shown. NOTE: Your item to dye must have been washed and dried. Otherwise the indigo dye may not take. Synthetic fibres cannot be dyed with indigo so please only bring natural fibres such as cotton, linen or silk. Mixed fibres can be dyed and can produce interesting effects! Please note that your finished piece will still be wet when you leave the workshop and will need to be washed separately at home to remove any remaining indigo. Once washed indigo dyed pieces are completely colour fast and can be washed safely in the washing machine in any coloured wash.